Cheryl surprised us all with this wedding outfit | HELLO! Cheryl is never one to shy away from making a style statement – her head-turning Cannes ensembles being a case in point. So we were a little surprised by the outfit she stepped out in for the wedding of her boyfriend Liam Payne's sister over the weekend, which was completely different to anything we've seen her in before. 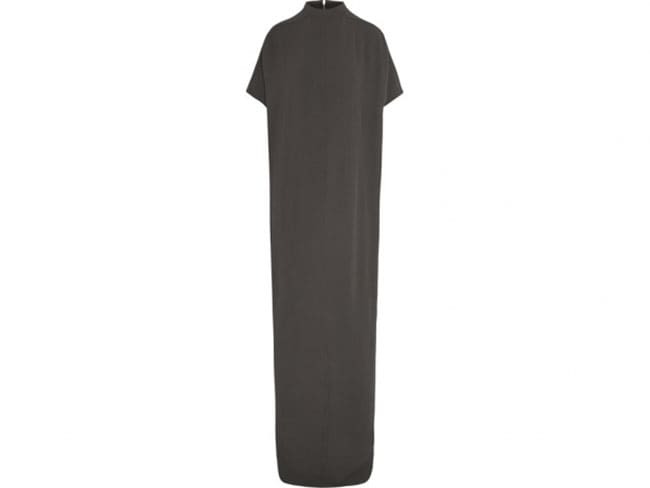 The 32-year-old made a low-key appearance in this £1,090 grey Rick Owens dress with a high neckline and short sleeves. Paired with black Saint Laurent heels, barely there make-up and her hair tied into a low ponytail, Cheryl was barely recognisable from her typically glamorous self. Cheryl was seen walking into the church in Wolverhampton with Liam, who was dressed in a blue tailcoat and trousers for his groomsman duties. She had reportedly opted to wear a muted outfit so she didn't upstage the bride, but we're sure the singer's appearance got guests talking nonetheless, as it shows how serious her relationship with Liam has become. The couple's relationship first came to light in February, and since then things have been going from strength-to-strength, with Simon Cowell describing Cheryl and Liam as "like two little chipmunks madly in love". They have since made their red carpet debut at the Global Gift Gala in Paris, where Liam appeared besotted with the former Girls Aloud singer. Loved-up appearances at Cannes film festival quickly followed, where Cheryl wowed in a number of fashion-forward outfitsincluding a plunging striped jumpsuit and vivid Naeem Khan gown. What do you think of Cheryl's wedding outfit? Cheryl and Eva Longoria face swap – and look eerily simliar!